(This is a Sponsored Post) Memories of the Thunderbirds series from my childhood make me a 70s and 80s kid. It amazes me to think that the original Gerry Andersen series came out as long ago as 1965. It is great to see that there is a modern remake so a whole new generation can enjoy the same characters as I did. Progress isn’t always a good thing, but in the case of this series, and expanding its appeal to a modern generation, its truly wonderful to see the Tracy brothers making an impact today as they did for me when I was young. 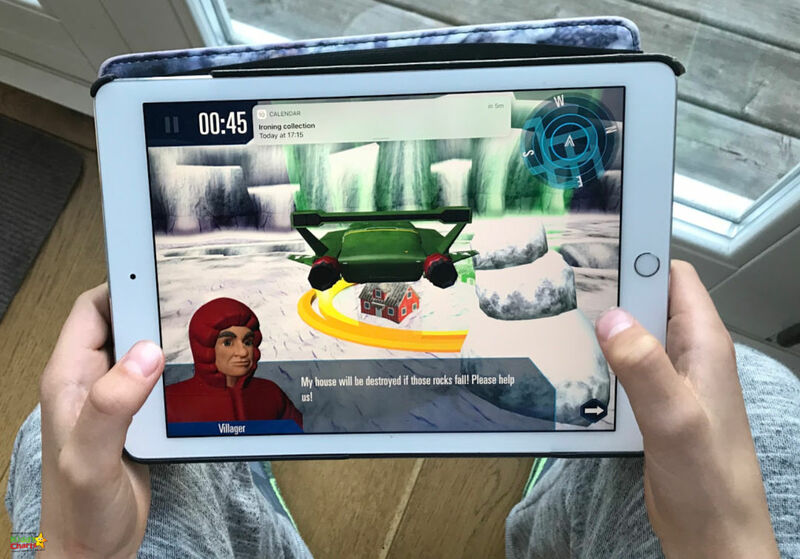 The FREE Thunderbirds are Go: International Rescue app, in partnership with ITV and an official companion to the series, was release earlier in the Summer, and is now available on both Google Play and iOS and we have had the pleasure of reviewing it for our readers. What is the Thunderbirds are Go App? This app is a very graphic, and creative piece of kit! It reminds me a little of the adventure games that I used to play as a child. You have a mission, and whatever the cost you need to complete it. The game incorporates the Tracy brothers, who travel the world saving lives in the series. Virgil is the first character to be released, and the other family members; John, Gordon, and Scott and Alan will be available as the game develops. Your kids take on the role of Virgil, and help to guide him through various missions in the Artic after a drilling disaster. The back story of the game is, as always with the series, designed to get your kids to think about how their actions have an effect on the wider planet. A scientist is too greedy, and an earthquake is the result…. Enter International Rescue. The game, aimed at 6-11 year olds incorporates in app purchases, which allow you to upgrade vehicles, but its enjoyment isn’t affected if you don’t wish to buy these. The game is clear, and your child will be guided through each mission, and then completes their mission log at the end of the scenario. There is a time limit, but we didn’t ever hit it, so it is clearly generous enough for older children at least. You could be hunting in a scientific research station, flying Thunderbird 2 through ice ravines, or trying to block a snow drift to prevent a village from being engulfed. Life as a Tracy brother is NEVER dull. 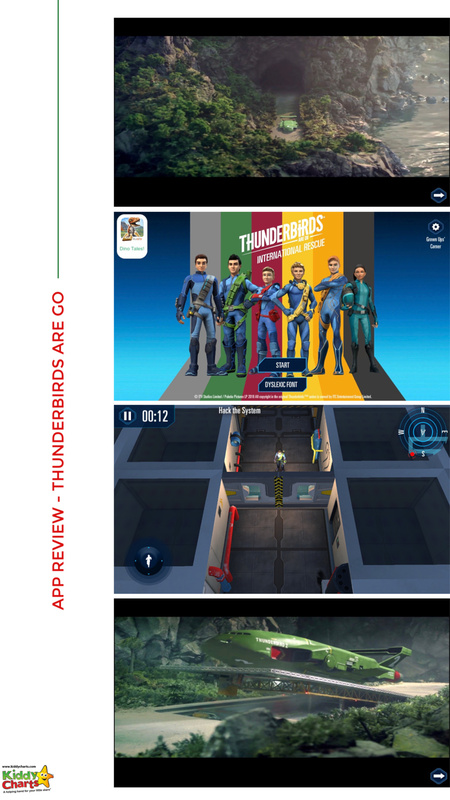 What did we think of the Thunderbirds are Go App? Thunderbirds is an iconic series, and it is tough to be able to do it justice, both as a modern remake, and as a new-fangled app 😉. We are, in fact, unusually excited they have managed to add the iconic countdown to the app. ITV and Kuato have done a great job of bringing the adventure to live in an app environment with excellent graphics, strong story-telling, and engaging gameplay. 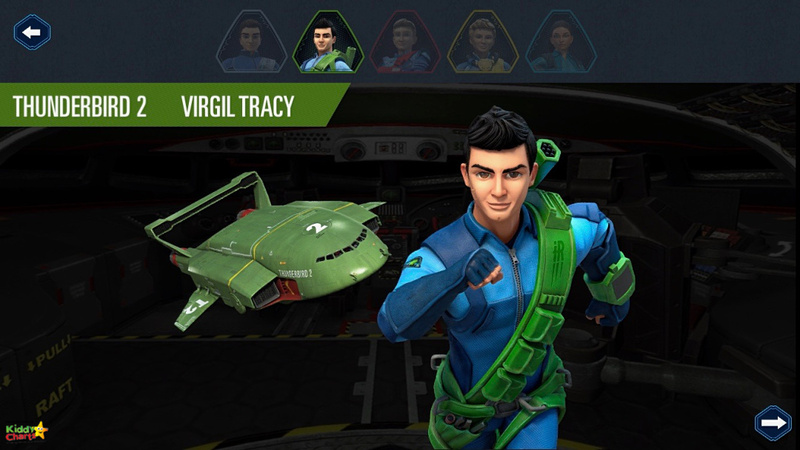 The game is clear, and the control varied, so that you are flying Thunderbirds 2 with arrows on your iPhone one moment, and then using a single touch sensor to move Virgil around a research station. We love the Grown ups Corner in particular. The game developers haven taken on board recent advice around limiting screen time, and given power back to parents! You can limit the playing time from 10-30 minutes, which certainly helps on school mornings…. There is also a dyslexic friendly font; and this is the first time I have seen this within a game environment. For younger kids, the mission log provides a sneaky opportunity for the to practise their reading skills, and increase their vocabulary as they are asked to choose the right words to describe their recently completed missions. This is a great game that we would highly recommend for the age group, and particularly for the fans of the ITV series. The graphics are excellent, and the game play is really fabulous for helping kids with both their problem solving, and even their reading. It is also great that the threads from the series about being responsible about our actions has been taken through into the missions as well. We hope you like this, and the other info we have on the site, particularly our free printables. If you do – why not subscribe to our weekly newsletter? Cheers for popping in, and see you again next time! Great review. I will check it out! Great review – I’ll give it a try! I have never seen this app but it sounds like a nice app and it looks like a lot of fun, will def check this out. It sounds like a great and fun app. That has some really great graphics! My kids love games like this. This looks like so much fun! I didn’t watch the show growing up but I would definitely play this game! Sounds like a fun app. Not only kids but also adults can find it interesting to relax and recharge. That is so cool, thanks a lot for the thorough review, i just downloaded the app! I had never heard of the Thunderbirds show before, but this intrigues me now! I love remakes when they are done well. this looks like a cool app. My kid isn’t yet into gaming but recommend this to the husband. thanks for sharing. Teaching responsibility in a fun way sounds appealing to me. I’m always up for educational game and app reviews so thanks for sharing. Looks like a fun app, I’m sure my kids would enjoy this. Great review and thank you for sharing your honest thoughts.